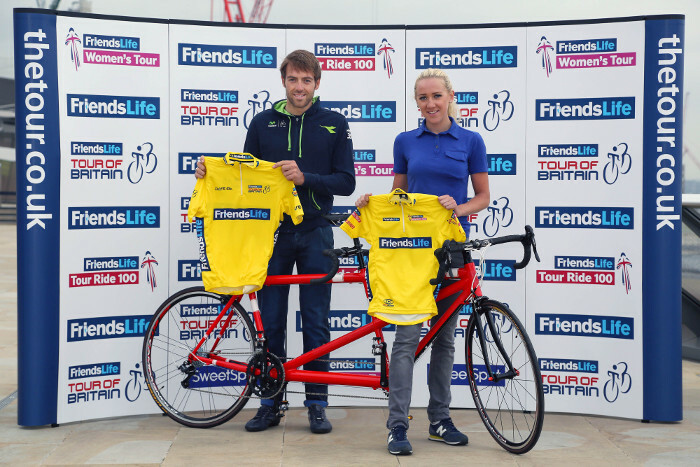 In the Tour of Britain there are four leaders' jerseys up for grabs. These are presented at the end of each stage to the rider who is leading the corresponding competition. Within the Tour of Britain there are four leaders' jerseys, each presented following every stage to the rider leading that competition's classification. Awarded to the rider leading The Tour of Britain overall, the Yellow Jersey is what every rider in The Tour seeks to pull on. The Yellow Jersey is easily identifiable in the peloton, showing you who leads The Tour of Britain. Awarded to the most consistent finisher in the Tour of Britain, the Chain Reaction Cycles Points Jersey is Britain's equivalent of the Tour de France's green jersey. The first 15 riders across the finish line are awarded points on a 15 down to 1 basis, with the rider who has accumulated the most points so far wearing the blue and white jersey, sponsored by Chain Reaction Cycles, the world's largest online bike store. Awarded to the best climber in the Tour of Britain, riders battle for points at three or four designated SKODA King of the Mountains climbs on every road stage of The Tour. Ranked in one of three categories according to their difficulty, the first riders across the summit win points with the rider who has accumulated the most points wearing the SKODA King of the Mountains jersey. Each road stage of the Tour of Britain features three intermediate YodelDirect Sprints, where points are awarded towards the YodelDirect Sprints Jersey, supported by Yodel, one of the UK's leading delivery companies. Highly popular with fans, riders battle it out to be first across the sprint line to claim points, and also bonus seconds to be taken off their overall race time. If the overall lead for the Tour of Britain is tight, expect the battle for the time bonuses to be intense, just as in 2007 when an intermediate sprint helped decide who won The Tour overall.